According to Webster, a Father is “a man as he is related to his child or children; a male parent; protector.” When a father is present it stands to reason that a home is protected, therefore when a father is not present (emotionally or physically), a home can be like a city without walls (and all that it implies). Designing a home with a father in mind impacts decisions such as height, depth, scale, color, textures, function and style. 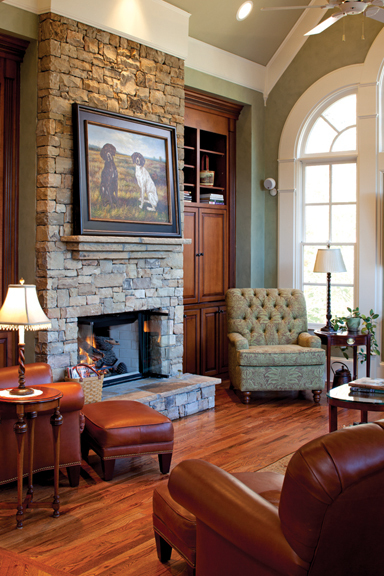 I welcome these considerations that help to create a home that enhances a loving environment. A father’s love for his family is their protection and their honor. To all the father’s who are staying around to love, to protect, to relate to his children, Happy Father’s Day everyday! Your article on a father’s love is very nice. Keep up the good work. Appreciate your encouragement, thank you Bev!